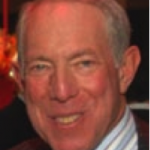 After serving as a Major in the US Air Force Medical Corps, George became an Attending Pediatrician at the Children’s Hospital of New York, a position he still occupies, and has since been appointed to other leading New York hospitals, including Lenox Hill Hospital and Weill Cornell Medical Center. He began his private practice in Pediatrics in Manhattan in 1976, and today his patients range in age from newborns to their late twenties. In parallel to clinical practice, George has instructed countless students, holding professorships at Columbia University, Cornell University, and Yale University. George has published extensively in the most prestigious medical journals, including the Journal of Pediatrics and the Journal of Gender Specific Medicine. He also served as an advisor to the editors of Parenting Advisor, a publication of the 13-30 Corporation. George’s philanthropic activities focus on helping children and their families. He has served on the Board of Sheltering Arms Children’s Services, and, since 2011, has been a Board member of Sanctuary for Families. He is an actively involved alumnus, having served as the President of the Alumni of Presbyterian Hospital and as the President of the Alumni of Babies Hospital. For his achievements, George was named the Practitioner of the Year by the Society for Gender-Specific Medicine in 2005, and he is a Fellow of both the American Academy of Medicine and the American Academy of Pediatrics. He is an Honorary Police Surgeon of the New York City Police Department and a member of the honor medical society Alpha Omega Alpha. George and his wife Rochelle Braff Lazarus, Chairman Emeritus of Ogilvy & Mather, reside in New York City, and they have three grown children.